Did you know that one way in which the biblical authors sought to communicate God’s truth was by comparing and contrasting various characters and situations? This may seem obvious to a regular Bible-reader, but people are often surprised how frequently this occurs in Scripture and how helpful it can be in interpreting the Bible. 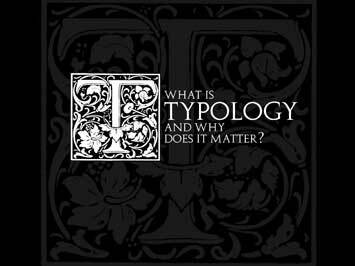 This practice has come to be known as “typology” from the Greek word typos. “Typology means that earlier characters and events are understood as figures of later characters and events, and the text is written in a way that brings out the connection” (Peter Leithart, “A Son to Me: An Exposition of 1&2 Samuel,” p. 13). Where Does the Practice of Typology Come From? The Greek word means “pattern” or “example.” It is used 14 times in the New Testament (e.g., Acts 7:44; Phil. 3:17; 1 Tim. 4:12; Heb. 8:5). Most important for our purpose is that Paul and Peter use examples from the past as a way of paralleling or contrasting current situations of their day. In 1 Corinthians 10:6 Paul uses the word typos to warn the Corinthian believers not to imitate the Israelites in the wilderness (see also 1 Cor. 10:11). 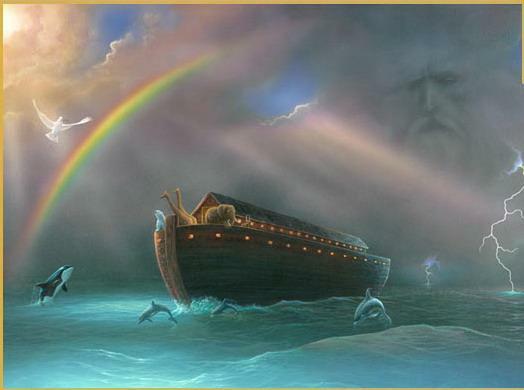 1 Peter 3:20-21 calls baptism an “antitype,” corresponding to the waters which saved Noah and his family. These passages form the basis for what has become known as a “typological” approach or interpretation. Old Testament authors often employed a similar approach to that of Paul and Peter although the word typos (or its Hebrew equivalent) was not used. In fact, there can be little doubt that Paul and Peter learned this method from their Old Testament counterparts. 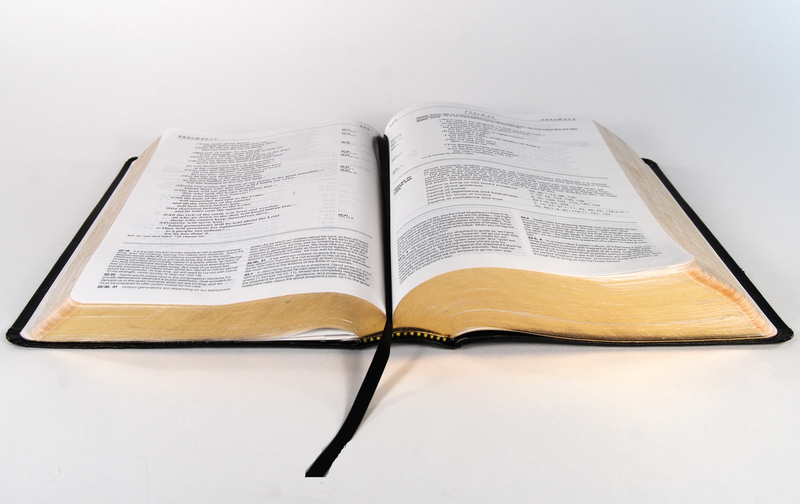 Have you ever read a story in the Old Testament and thought, “That reminds me of another story I read in the Bible”? There is a reason for that! Biblical authors intentionally recall earlier stories, characters, and events as a way of commenting on the story, character, or event they are relating. The student of the Bible is being invited to compare the stories or characters in order to notice these similarities and differences. Through this comparison, the reader gains insight into what the biblical author is communicating. This is especially helpful when one is trying to understand a particular biblical character. The reader should not only look to the immediate context to understand a character (or event), but also the wider context of Scripture where echos of the present story occur. 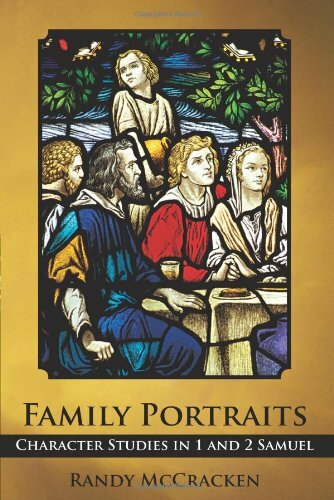 The author(s) of 1&2 Samuel was a master of this technique, and as a way of illustrating my point I am using a small excerpt from my book “Family Portraits (USA link).” Abigail is introduced to the reader in 1 Samuel 25. Although the story provides a lot of information in forming a character portrait of Abigail, typology is also very helpful. In fact, it’s amazing how many characters in the Old Testament can be called upon to help us in constructing a portrait of Abigail. However, I will only focus on one example. One way in which the character of Abigail is enhanced is by noting the similarities she shares with Hannah (and vice versa). 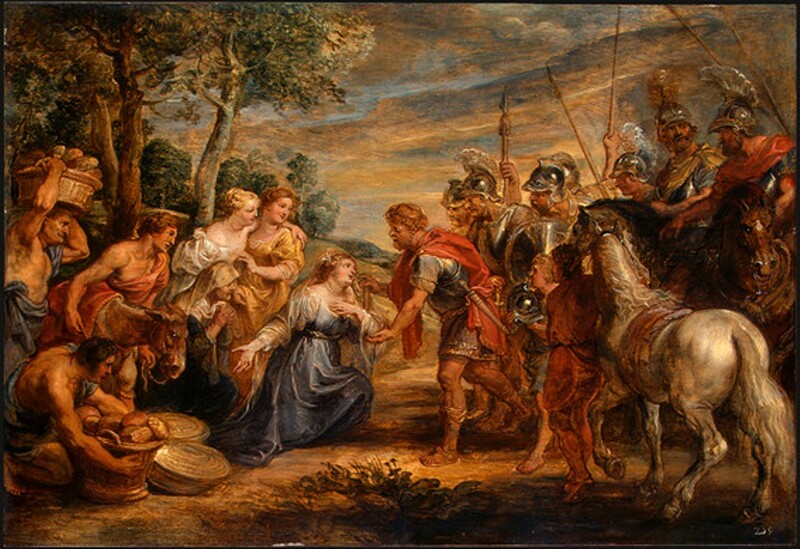 One of the greatest connections, as far as the books of Samuel are concerned, is between Abigail and Hannah….First, both Hannah and Abigail find themselves in desperate situations. Although these situations are different, the future of a household is at stake in each case. Second, both women make supplication to a superior, using the term “maidservant” to describe themselves (1 Sam. 1:11; 25:24ff.). Third, in making their supplications both ask to be “remembered” (1 Sam. 1:11; 25:31). Fourth, Hannah makes a vow (1 Sam. 1:11), while Abigail swears an oath (1 Sam. 25:26). Fifth, the Lord causes Hannah’s face to be sad no longer (1 Sam. 1:18), while David lifts up Abigail’s face (1 Sam. 25:35). Sixth, both share the theme of “strength through weakness” because of their dependence on the Lord. Seventh, words from Hannah’s prayer are reflected in the story of Abigail and Nabal. Abigail assumes a lowly position and is lifted up (1 Sam. 2:7; 25:23–24, 35), while arrogance proceeds from Nabal’s mouth (1 Sam. 2:3; 25:10–11) resulting in the Lord striking him (1 Sam. 2:6; 25:38). Eighth, and perhaps most important, both adopt a prophetic role that has significance for the future kingship (1 Sam. 2:1–10; 25:26, 28–31). It was Hannah who first proclaimed, “He will give strength to His king and exalt the horn of His anointed” (2:10); and it was Abigail who first announced the “sure house” that the Lord would give to David. The books of Samuel testify that these women were the first to foresee and utter these great truths, which would change the course of Israel’s history. The stories of Hannah and Abigail thus highlight the important role that women played in inaugurating the monarchy. Although Israel, like the nations around it, was a patriarchal society, clearly Israel’s God “shows no partiality” (Acts 11:34). Hopefully this brief example demonstrates the value of comparing biblical stories with similar themes or characters. By comparing Hannah and Abigail, we come to know them both better and we see the common themes being emphasized in their stories. This, in turn, helps us to better understand the message of 1&2 Samuel. The use of typology also allows us to interpret Scripture with Scripture. Although we always approach the text with a certain amount of subjectivity (our background, presuppositions, church tradition, etc. ), the similarities (or contrasts) made between Bible characters or events through the use of typology, helps us to better hear the message(s) that the inspired author intended us to hear. Hey Randy, great post! I like what Jim Hamilton says about typology, that it (paraphrase) is what God typically does – this helps to also capture the aspect of some historical events being typological. I’d love to see how you apply this to NT typological “fulfillment” of the OT, such as Jesus fulfilling 2 Sam 7, which appears to not be a direct Messianic prophecy as such.